The award ceremony was a sea of black outfits, with actresses and activists taking a stand against sexual harassment and inequality. Women are orighting back with the TIME’S UP movement. Golden Globes 2018 has marked the beginning of a different era in the powerful film industry. The first award ceremony since the Weinstein abuse scandal unfolded, the Hollywood A-list championed the single most powerful community shaping change: the power of women. On the heels of the Women’s March and the #METOO campaign, the TIME’S UP initiative has been instrumental in taking this message to a global platform. The programme was launched in 2017 in the wake of the widespread reports of sexual abuse within the industry, it has been signed by numerous Hollywood insiders, and has also created a legal defense fund for women facing sexual misconduct in their professions. Three hundred female Hollywood actors, agents, writers, directors, producers and entertainment executives – including Natalie Portman, Emma Stone and Reese Witherspoon – are kicking off the New Year with a coordinated effort to counter systemic sexual harassment in the entertainment business and US workplaces. The initiative, announced with a full-page ad in the New York Times, includes a $13m legal defense fund to help women in less privileged professions protect themselves from sexual misconduct and the consequences that may arise from reporting it. Some of the other names in show business who signed the letter are, Ashley Judd, Eva Longoria, Rashida Jones, America Ferrera, and producer extraordinaire Shonda Rhimes to name a few. This time, the red carpet resonated a somewhat sombre atmosphere. There was no talk of designer gowns, expensive diamonds or celebrity gossip. Instead, actors and actresses observed the dress code of black to stand in solidarity with men and women who have been the victims of sexual harassment, abuse, violence and injustice. Many actresses opted to bring prominent political activists as their dates to the event. Laura Dern brought activist Monica Ramirez, who advocates fighting sexual violence against farm workers and promotes Latina empowerment, whilst actress Michelle Williams brought Tarana Burke, founder of the #METOO initiative. Other activists present during the award ceremony were Calina Lawrence (guest of Shaileen Woodley) of the Suquamish Tribe, advocating Native Treaty Rights, Marai Larasi (guest of Emma Watson) executive director of Imkaan in the UK, a prominent black-feminist network fighting to end violence against black and minority women and girls, as was present leading scholar Rosa Clemente, community leader Ai-Jen Poo, and fair wage campaigner Saru Jayaraman. Actress Connie Britton decided to use fashion for a social cause. She adorned a black sweater with the words ‘Poverty is Sexist’, to raise awareness on how poverty globally effects women and girls statistically at a higher rate than men and boys. According to the nonprofit organization, ONECAMPAIGN, which aims to end extreme poverty and preventable disease, the facts speak for themselves. There are over 130 million girls out of school worldwide, especially in developing nations, where girls are denied education at a higher rate than boys. Globally, the gender wage gap is at 23%. In developing nations, 1 in 4 girls is married before reaching 18, and 1 in 9 girls is married under the age of 15. In Sub-Sahara Africa, 2 out 3 young people infected with HIV are women and by 2020, 75% of women in developing countries still won’t have access to the internet compared to 63% of men. ‘For those concerned with the price of my Globes sweater I just don’t think a $5000 gown would have added to the conversation in the same way,’ she wrote. The subject of gender-wage inequality was at the forefront of discussion. Actress Debra Messing used the ceremony as an opportunity to address E! News about their recent pay controversy. In December 2017, anchor Catt Sadler parted ways with the network over pay disparity, after discovering that her male co-host Jason Kennedy, was being paid a salary of $1.2 million to her $600,000, for doing the exact same job. That is a 50% difference and is indicative of how little the network values the role of women in their company. “It’s 2018 Marijuana is finally allowed and sexual harassment isn’t. It’s gonna be a good year,” he joked. ” Natalie Portman is being praised for subtly criticising the lack of female representation in the Best Director category she was presenting at the Golden Globes“. The Oscar-winning star was announcing the winner of Best Director alongside director Ron Howard when she highlighted that fact the five nominees were all male after the surprising snub for Lady Bird filmmaker Greta Gerwig and Wonder Woman’s Patty Jenkins. The last time a female won an award at the Golden Globes for Best Director was 34 years ago. That is a shameful truth for an industry that considers itself the pinnacle of artistic freedom and fair representation. However, the defining moment of the evening that will forever be cemented in Golden Globe history, was the speech of media mogul Oprah Winfrey. As she collected her Cecile B Demille Award, Miss Winfrey spoke words so powerful, that it received a standing ovation. The speech has been compared to a Presidential Speech, and supporters have called upon Oprah Winfrey to run for President in 2020. “……In my career what I’ve always tried my best to do, whether on television or through film, is to say something about how men and women really behave, to say how we experience shame, how we love and how we rage, how we fail, how we retreat, persevere and how we overcome. I’ve interviewed and portrayed people who have withstood some of the ugliest things life can throw at you, but the one quality all of them seem to share is an ability to maintain hope for a brighter morning, even during our darkest nights. So I want all the girls watching here now to know that a new day is on the horizon. 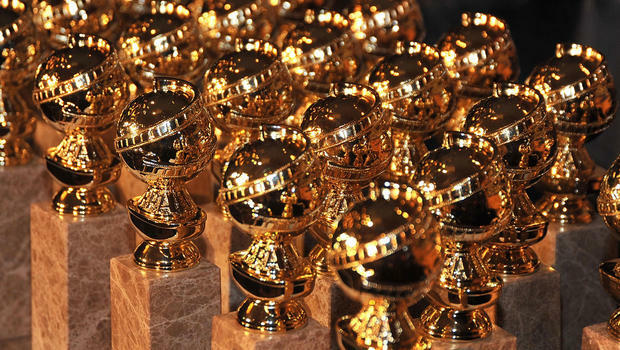 This Golden Globes award ceremony chose to make a colossal statement on the current political climate. It turned into an occasion where women took the lead and charge in creating change, challenging the status quo of gender bias politics, and smashing the silent culture surrounding sexual harassment. Vocal political celebrities used this opportunity to amplify the voices of intersectional feminists and activists, who have dedicated their lives to fighting injustice. Hollywood’s female network is striving to make a difference by uniting as a sisterhood. Since the Golden Globes 2018 event, more women have come forward to name and shame alleged abusers. Actors Michael Douglas and James Franco, comic book writer Stan Lee and music conductor Charles Dutoit have all been accused. The influence of female powered institutions are empowering victims to finally say: enough is enough. The work of the TIME’S UP initiative does not begin and end in Hollywood. The uncovering of sexual abuse scandals sent a ripple throughout the world, sparking an international debate centered on human rights. The plague of sexual misconduct and abuse of power exists in every corner of the world and in every industry. The next steps will be taking this egalitarian message to a global scale, assisting activists find their platforms and voices in patricentric societies. We live in a world where in certain regions, slavery still exists, where women are sold like cattle, owned like property and disposed like garbage. We live in a world where underage girls are forcibly married to settle family debts, women murdered in the name of honor and others forced to marry their rapists. The fight for justice and equality for all, men and women, is just beginning and much work needs to be done. However, even with the long-term goals still in the distance, one thing is for sure. TIME’S UP for the patriarchy, and now we are going to enter an era of the gynarchy. This entry was posted in Lifestyle and tagged Golden Globes, Hollywood, Oprah, Times Up. Bookmark the permalink.